UK’s leading Project Management Software. Cloud business management system for project-based teams of 15 - 600 who manage multiple projects simultaneously. Synergist makes business and project forecasting more accurate. Complete and up-to-date data gives an honest picture of project progress vs pre-project forecasts. Gantt's featuring built-in dependencies ensure changes feed directly through to project reports. 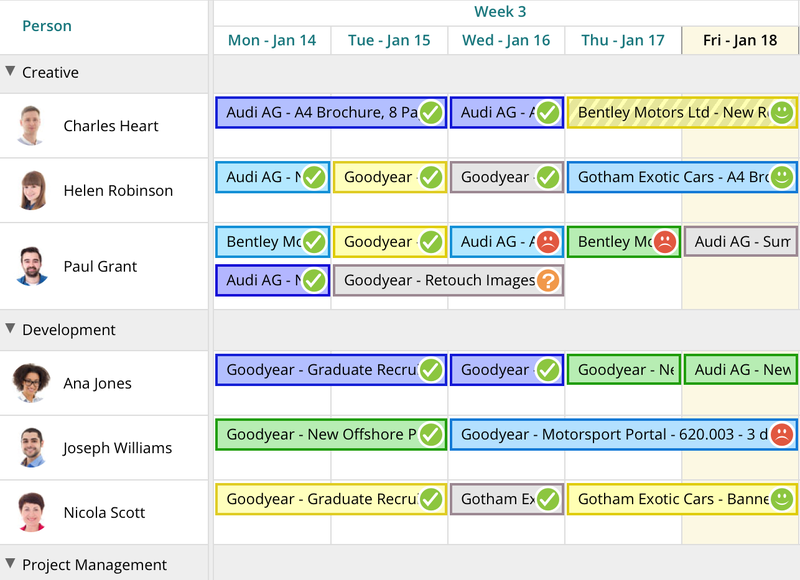 With drag-and-drop scheduling and Kanban boards, task scheduling in Synergist offers a visual scheduling solution for many project environments. Flexible work instructions and file attachment options make scheduling work, communicating information and capacity planning slick and simple. Dashboard gives an immediate, whole project picture highlighting any slippages or overservicing. Reports on any metric can be created immediately, using drag-and-drop functionality. Estimating becomes more accurate due to complete and factual previous project data. Forecasting at business and project-level is simplified and accurate due to the use of complete and live project data. Project estimates and budgets are more realistic as Synergist prompts you to consider work required to deliver each component based on actual previous project performance. Estimates can be produced via a standard template or simply from scratch. This estimate can easily be turned into a branded PDF for use as an external quote. Gantt chart functionality has built-in dependency features, with any changes automatically reflected in project forecasting. One click give you an accurate picture of how much has been billed for business and project income forecasting. Synergist supports revenue recognition enabling you to see how much of the project is complete vs what has been billed. Drag-and-drop calendar bookings simplify scheduling and reorganisation of work. Individual and department capacity is clearly visible. Documents, work instructions and work requisition requests can be attached to bookings so there's no repetition of documents and your team can immediately start work on their next task with little or no briefing. Timesheets can be created from the calendar booking with a single click. 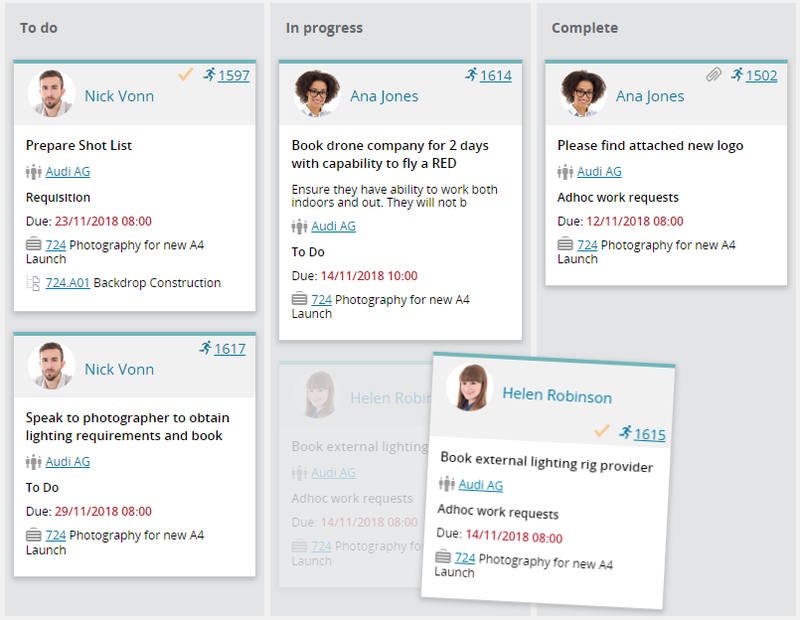 Kanban boards simplify task management, ensuring everybody knows their priorities and no tasks are forgotten. They can be filtered to show, among other things, complete tasks or incomplete tasks. 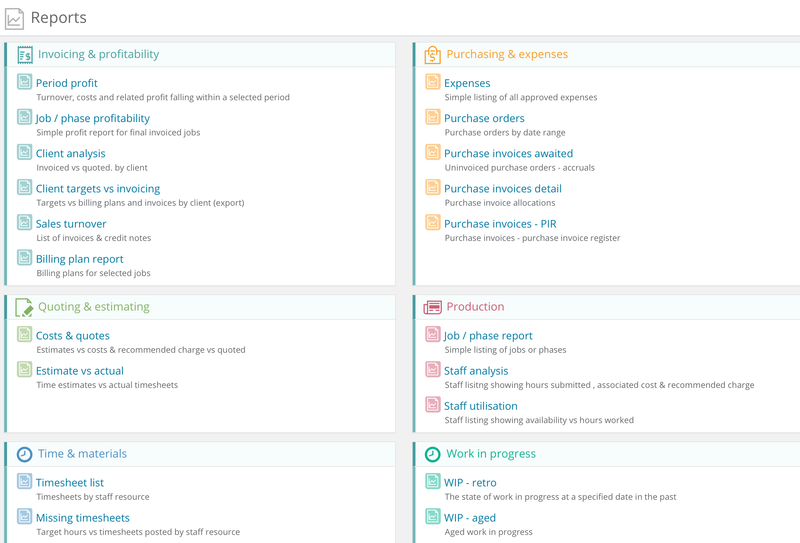 Multiple boards can be created, useful if you'd like a board for personal tasks and project team or department tasks. 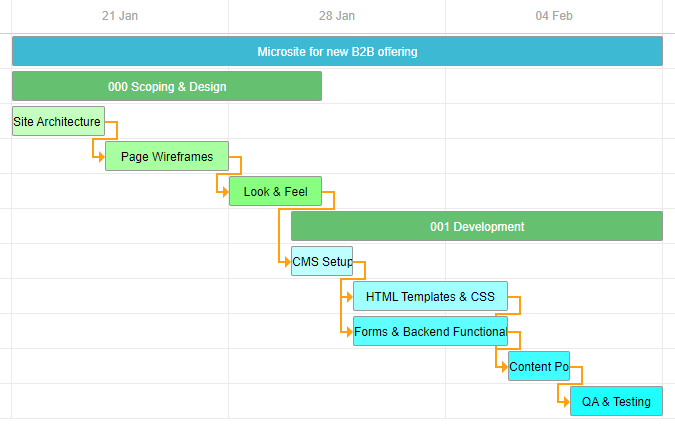 Boards can include as many completion statuses as you need to suit your workflow process. All timesheets are submitted within Synergist so time spent on each task/project is immediately seen across the business and in reports. Project reporting is simple and immediate. Reports can be pulled off instantly or scheduled to run at set times or project milestones. Reports are based on live data so hours are saved trying to understand figures and all decisions are based on facts. Reports can be exported to a spreadsheet or PDF. 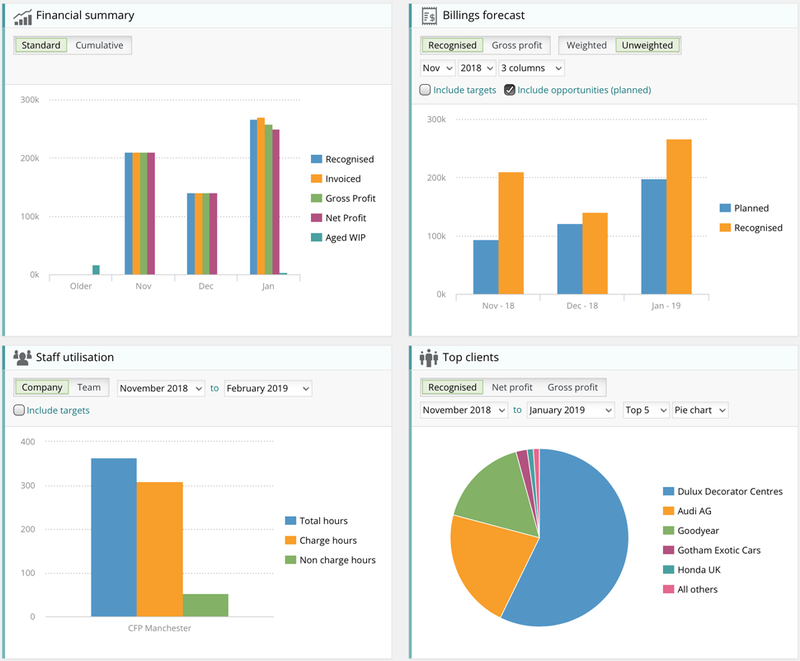 In Synergist you can see what's been budgeted vs planned and complete work from a time perspective. So you have an accurate understanding of whether or not you're likely to hit budget. Synergist has a full project purchase ordering area. So when looking at budget vs planned all project costs, including freelancers, are reflected in your figures. Your customizable dashboard view shows at-a-glance all the information that informs your daily work and priorities. Issues are spotted quickly, minimising damage. Alarms can be set-up to flag certain project milestones. "With Synergist I know what’s going on in every job, and the great thing about it is that I know it as it’s happening. Costs are captured real-time. So there are no surprises. And the team sees how many hours are allocated to a job and how many hours are left. So when we have a Monday morning meeting to allocate who will be working on which job, it’s completely transparent to all." Be delivered by our trusted partners, The Agency Works. Synergist holds an ISO accreditation for development and provision of business software, systems and associated services. Giving you confidence that you and your data are in safe hands. Synergist seamlessly integrates with all leading accounts packages including Sage 50, Sage 200, Sage ACCPAC, Xero, Access Accounts, QuickBooks, KashFlow, Microsoft Dynamics-GP and more. Synergist has a UK-based helpdesk which is accessible via phone and email, Monday to Friday. So you always have support at your fingertips.